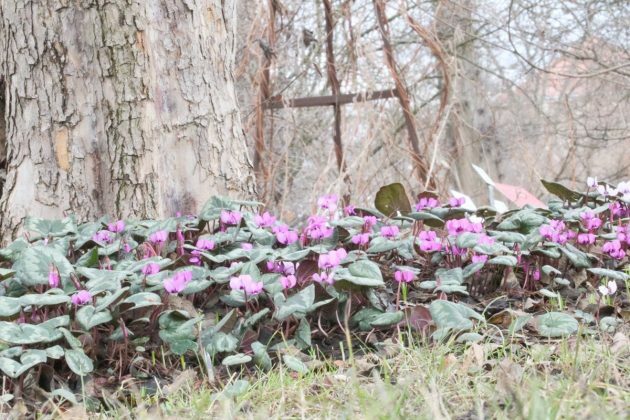 Since the 1960s, the cyclamen has been decorating Europe’s rooms and filling them with fresh colours, especially on gray winter days. Numerous varieties offer an extensive colour selection. With good care, this flower from the primrose family can be cultivated up to 30 years. 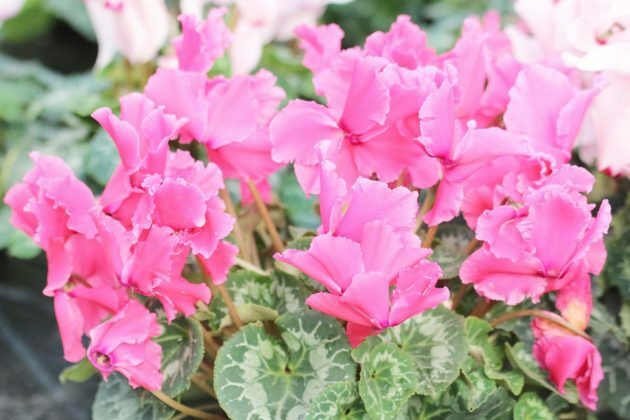 With this professional care guide, you can learn how to properly grow your own cyclamen for your room. 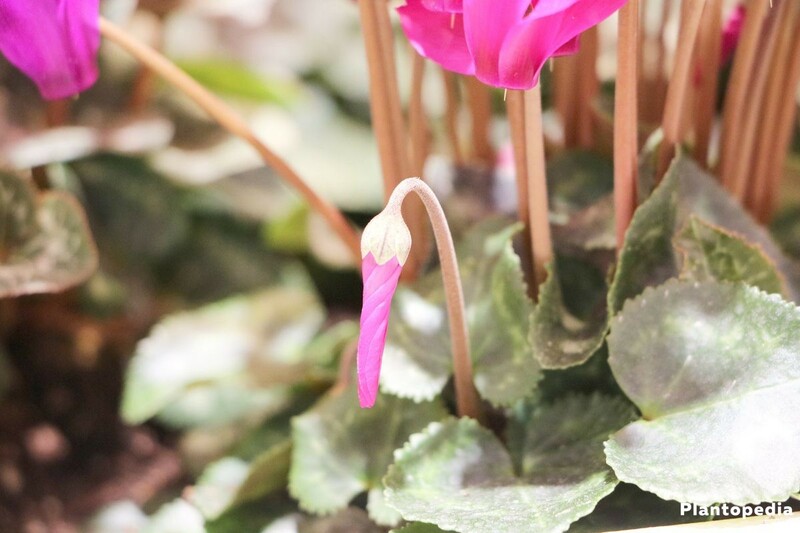 Only few houseplants will bring such a fresh colour to the room during the gray winter days, as the cyclamen does. The beautiful contrast between the blossom colours and the green-grayish shimmering leaves decorates every window sill with a distinctive charm. 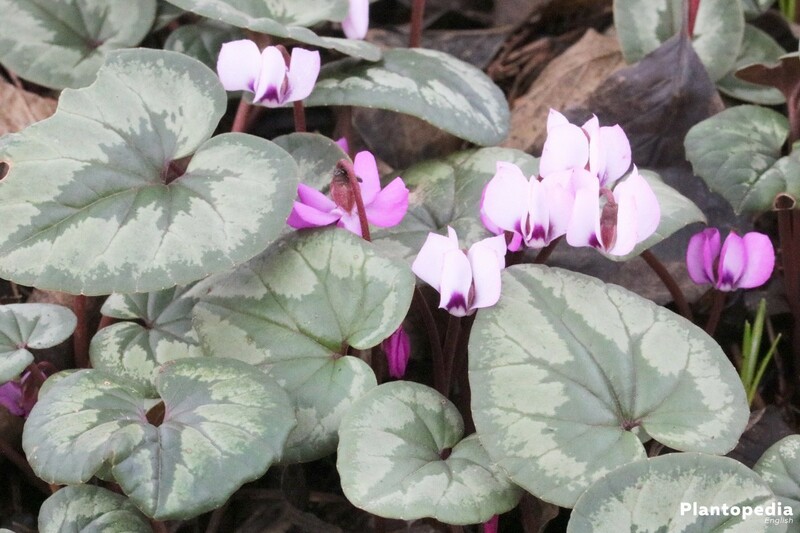 Contrary to numerous assumptions, the cyclamen does not originate from the Alpine regions or from Persia, as the species name “cyclamen persicum” suggests. The origin of the cyclamen persicum is in the Mediterranean area. 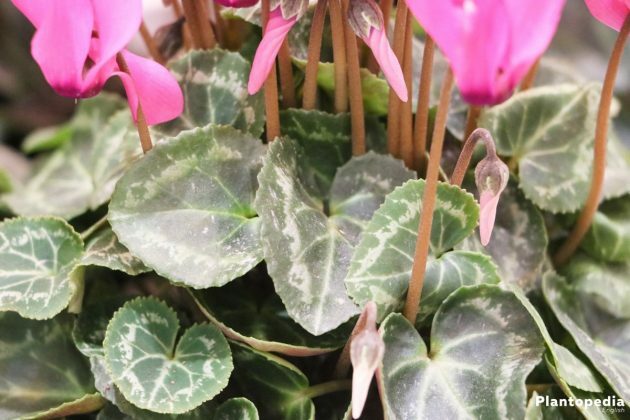 This care guide shows, which details should be taken into consideration during the care, so that the cyclamen persicum feels good all year round. 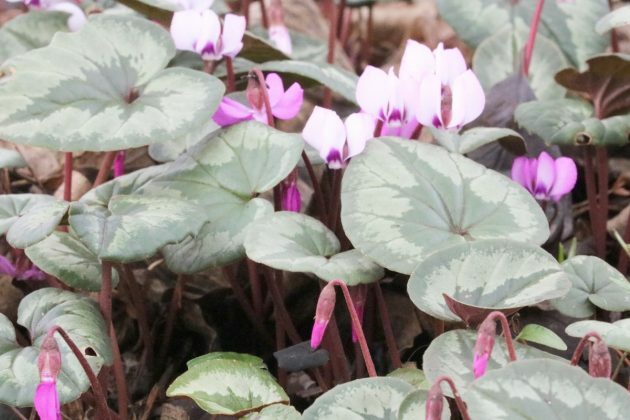 For many centuries, the cyclamen has been multiplied and since the 19th century it has also been specifically cultivated, nowadays resulting in numerous different sub-varieties. These are mainly distinguished into large and small specimens. The cultivation is exclusively done with wild plants from different countries of origin. 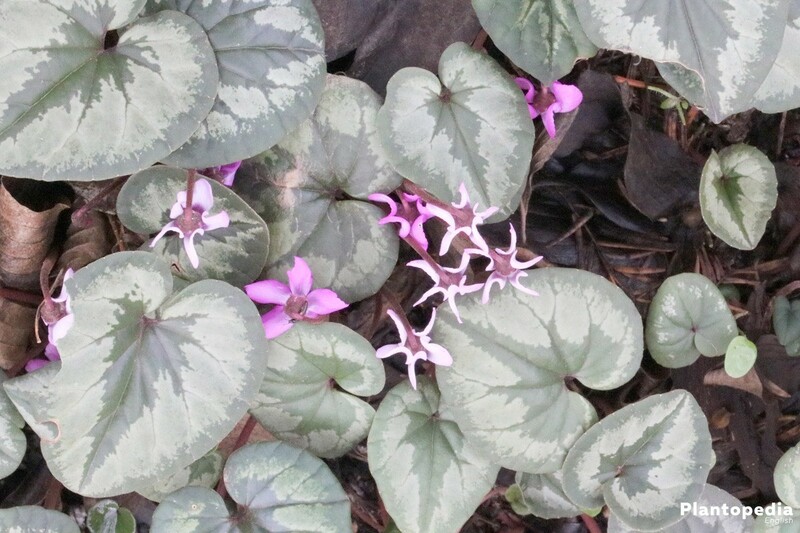 Other plant species are not coupled with the cyclamen for cultivation purposes. 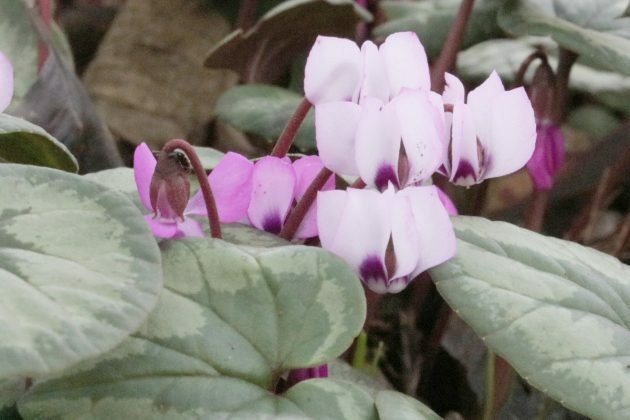 Not all varieties are as long-living as the classical cyclamen persicum and many of them can also not be multiplied by seed, but by elaborate cell cultures. Some varieties are summer plants, others can survive the winter. 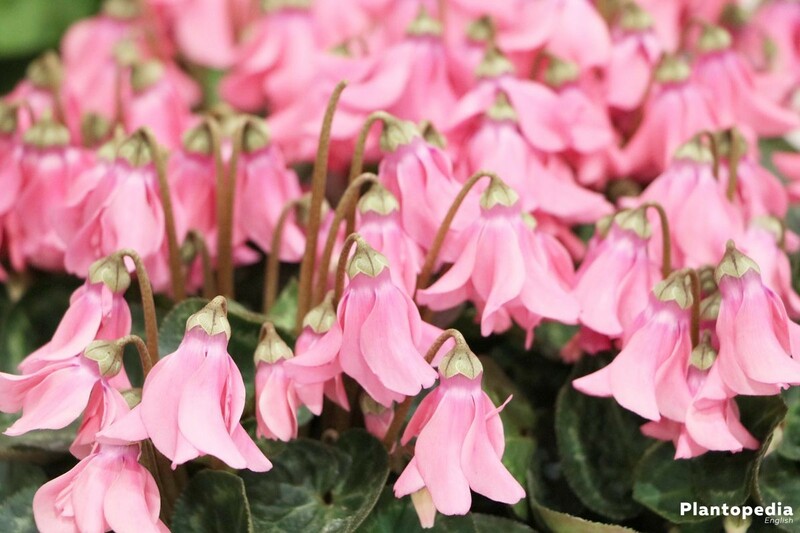 The cyclamen thus offers a wide choice for every requirement. 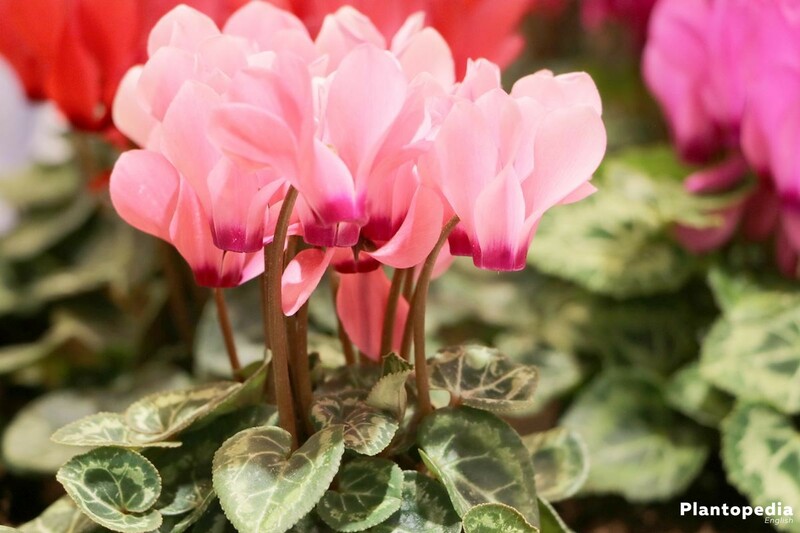 The cyclamen is known as a sensitive plant, which quickly stops growing or starts showing bloom deficiencies on the wrong care or unfavorable locations. 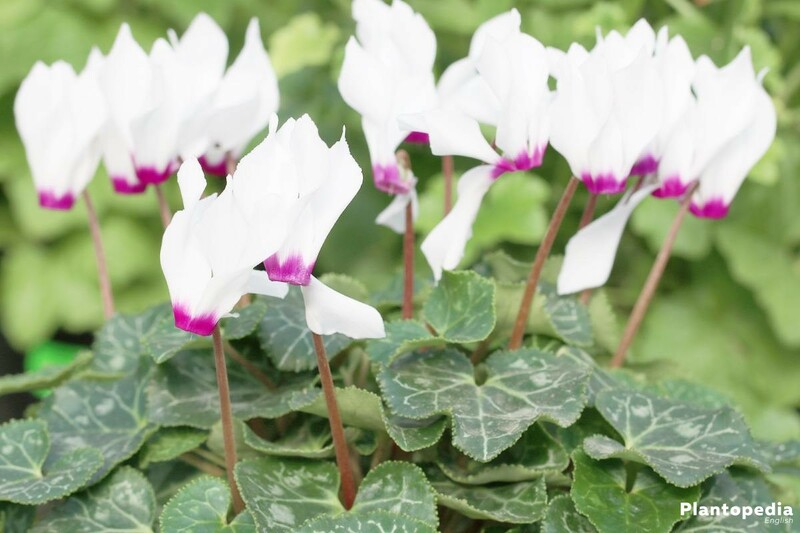 But with the correct instructions, as can be found in the following, the cyclamen persicum can be kept and multiplied easily and without much effort for many years. The cyclamen persicum likes a sunny and bright spot. But a place where it is exposed to the midday sun should be avoided, since it doesn’t tolerate heat very well. In the summer months, the cyclamen can easily be grown outdoors. A semi-shady place in the garden would be just perfect. A shaded spot is also suitable, but this can have a negative effect on the flowering, which is strong when supplied with well-measured sunlight. In addition, most cyclamens like it cool. A location between 12 degrees Celsius and 15 degrees Celsius would be perfect for indoor maintenance. Locations such as a stairwell or the bedroom are ideal. 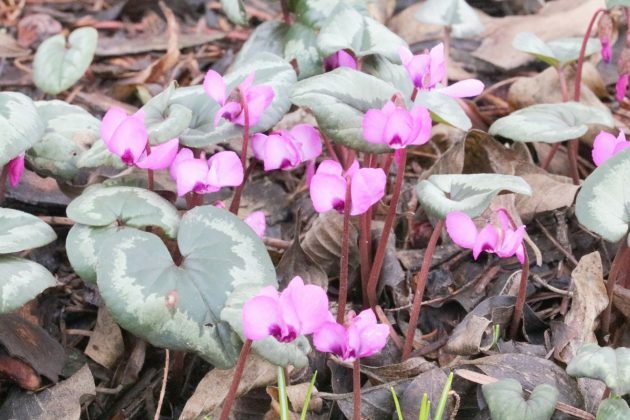 Both in the flower pot and in the flower bed, the cyclamen persicum does not impose any unfulfillable demands on the conditions of the soil. The cyclamen persicum cannot handle any waterlogging – it will mostly react with diseases and growth disorders. For outdoor growth, it is recommended to not place it near a pond or stream. Traditional flower earth, consisting of a peat or compost base, is just perfect for a cyclamen persicum. If you tend to pour plants too much, you may resort to an air-permeable substrate or cacti soil enriched with clay granules. This way the water is extracted more quickly from the soil and the roots will not be damaged. 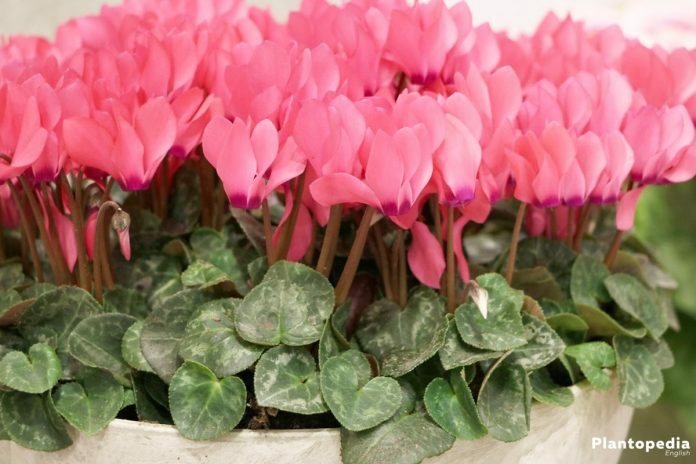 Theoretically, the cyclamen persicum can be planted or transplanted in a pot all year round. However, it is ideal to do this after the growth and flowering period. 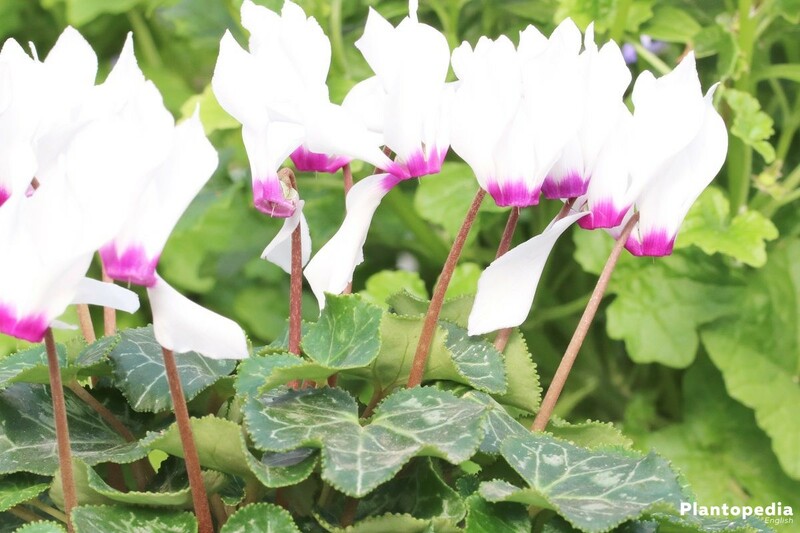 This way, the cyclamen is not exposed to any strain and can collect enough energy for the next growth and flowering season. 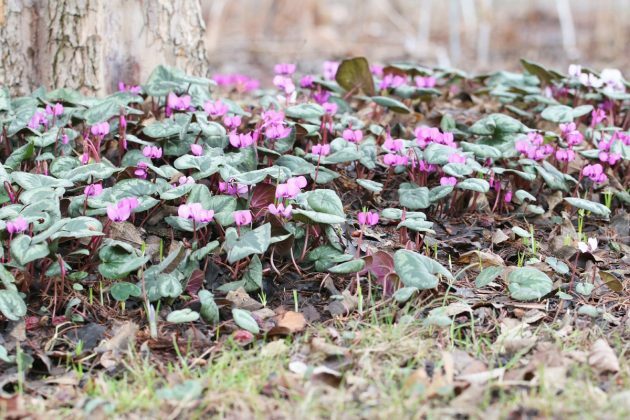 If a cyclamen persicum is to be planted into a flower bed, the temperatures should be constantly above 10 degrees Celsius. This is usually the case from the middle of May to the end of September. But the sooner it is again potted indoors for wintering, the sooner the growth and flowering phase begins. 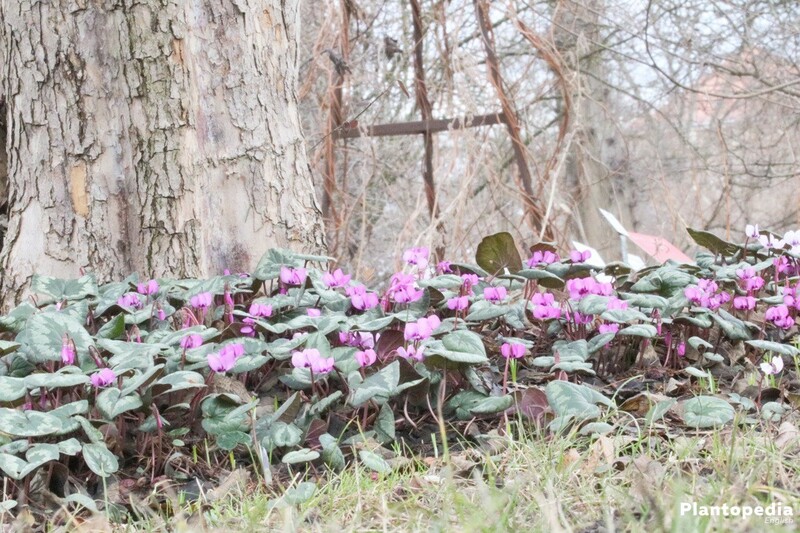 As long as an optimal soil condition is given, the cyclamen persicum enjoys the fresh outdoor air. The soil condition should be loose and water permeable. The first step is to choose the right shady or semi-shaded location, then loosen the soil with a hook and lift it with a shovel for planting. The planting hole should be so deep that it is two or three times the size of the flower bulb or the tuber. The planting distance to other bed plants must also be taken into account. The space should be about half the width of the cyclamen. 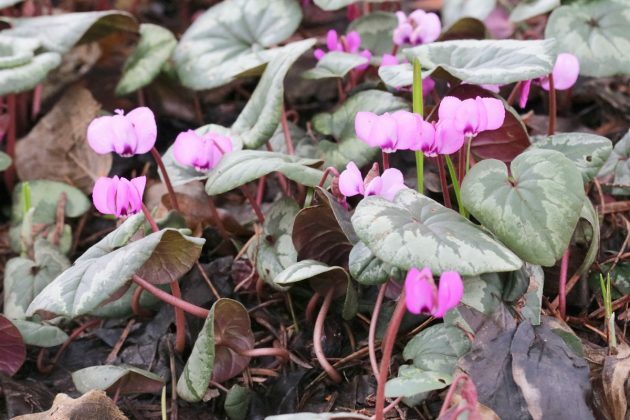 Since the cyclamen persicum reacts to waterlogging, it is advisable to cover the ground with potsherds, which will keep water accumulations away from the tuber. Alternatively quartz sand can be used against waterlogging. Finally, the tuber or flower bulb is inserted and the plant hole is filled with the soil. It is recommended to enrich the soil with substrate, in order to provide the cyclamen persicum with an optimal nutrient supply, which makes it easier for the plant to cope with the change. In order to prevent the soil from drying out, you can spread bark or peat on the surface. With their help, the water evaporates very slowly and will thus reach the deepest roots. The procedure for planting the cyclamen persicum in a flower pot or a balcony box is almost the same as when planted in a garden bed. At first, quartz sand or potsherds should be spread on the bottom opening in order to function as a drainage and to avoid waterlogging. A bottom plate is useful to collect excess water. Subsequently, the pot is filled with soil, which is usually mixed with substrate. It is important that the bottom half of the tuber is planted into the soil, just like in the flower bed. Between the soil surface and the top edge of the pot, a space of at least two centimeters should be maintained. This ensures that after pouring, when the soil may be muddy, it won’t run over the top edge of the pot. The cyclamen persicum needs much moisture, which is why it should be regularly poured. The optimum time of watering can be easily determined with the thumb test. If the soil sinks about two or three centimeters under the thumb pressure, it must not yet be watered. If you can only minimally or not at all press down the soil, this is an indication that it must be poured. You should water it slowly and evenly, in order to better control the water supply and prevent over-watering. It is advisable not to splash water onto the leaves as they may react sensitively. If there is a bottom plate, it should be checked for water level about 15 minutes after pouring and, if necessary, the water should be shaken off. 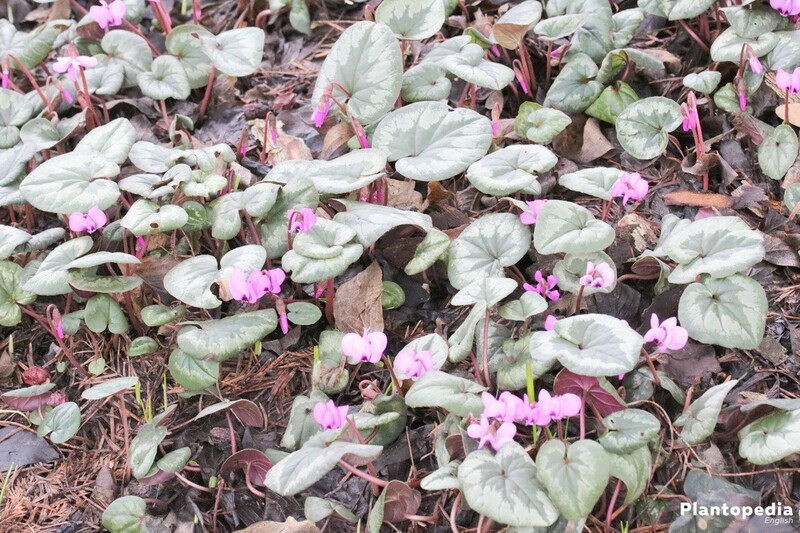 This way you can avoid waterlogging, which a cyclamen persicum does not tolerate. A cyclamen persicum should be fertilized during the growth period with a low concentration liquid fertilizer or fertilizer spikes. If a substrate is used for planting or repotting, a so-called start fertilizing is not necessary. Outside the growth phase, fertilizer rhythms are prolonged. Implanted in the bed, compost or nutrient-rich fertilizer can be used every few weeks. 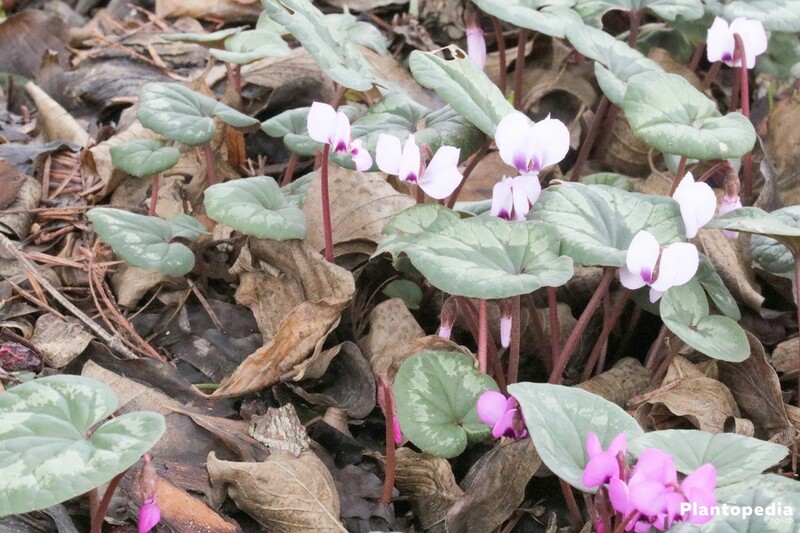 Cyclamen persicum are usually cut when withered leaves occur. These are to be cut off quickly, since they have a high nutrient consumption and these nutrients are withdrawn from the rest of the plant. Yellowed leaves are also to be removed. You should do the cut deep down at the stem, just above the soil surface. After cutting, you should wait a few days before fertilizing, until the cut has dried and closed. When repotting, it is also useful to cut off dried as well as wet root parts. 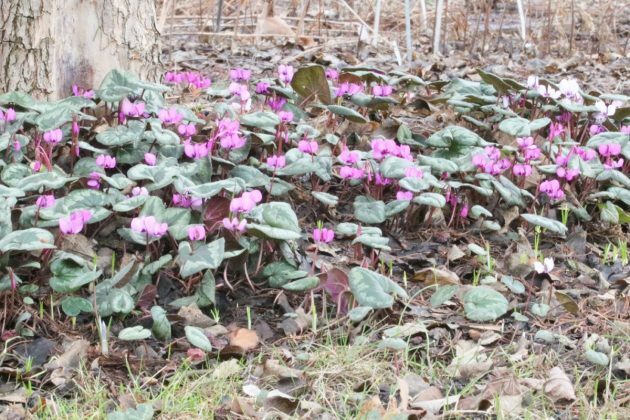 The cyclamen does not hibernate in the true sense, because it is one of the few plants that has its main season during the winter. Since it only tolerates temperatures between 12 degrees Celsius and 15 degrees Celsius, it cannot overwinter outside. Some varieties are also summer flowers, which also do not tolerate temperatures below 10 degrees Celsius and have to be planted to a warmer place. A cool greenhouse is also an appropriate place. It is important that a cyclamen has a bright place and is sufficiently poured. For example, the winter hardy variety “Odorella” can winter even at minus temperatures as long as its tuber roots are at least seven centimeters below the soil surface. Most of the cyclamen can be multiplied in mainly three different ways. You can carry out the cultivation at any time of the year if you keep some details in mind. In some varieties, the multiplication takes place through cell culture, because no seed is existing and the tuber offers no branches or not enough offspring from which a long-living new plant could be drawn. 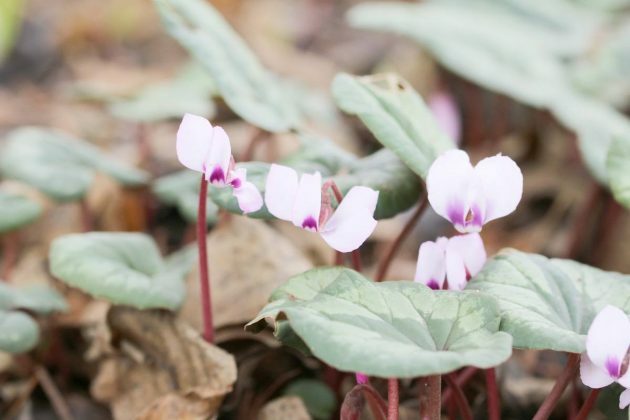 The classic cyclamen persicum can be multiplied by fresh seed. Since it is not so long-lasting, seed is regularly only to be obtained from the gardener. It should be noted that the seeds shoot in the dark and should therefore be covered with soil and placed in a dark spot. Special seed boxes facilitate the seed cultivation. A high-quality cultivation soil should be used. 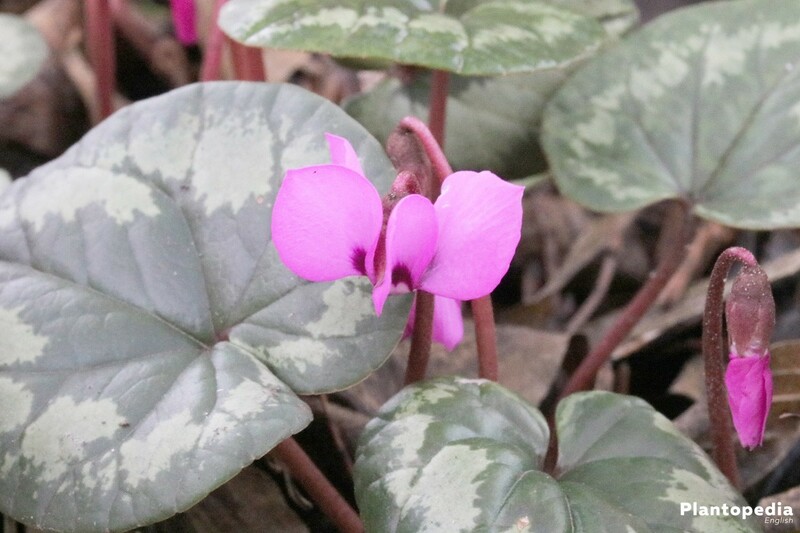 After the flowering and growing season a cyclamen persicum often offers so-called partial buds. These are located directly on the tuber. In the case of a partition, the tuber is cut off with the shoot bud. To avoid putrefaction, the cuts should be sprinkled with sulfur powder, so they can close. Subsequently, the cut-off part of the tuber including the shoot bud, should be potted with it’s lower half into nutrient-rich soil and then it should be carefully poured. After a few days the growth of the shoot should be recognizable. The room temperature should be between 18 degrees Celsius and 20 degrees Celsius until the plant is mature. Some cyclamens form tubers on the stems or in the root area. These can be carefully cut off with a sharp knife and used for multiplication. These tubers are potted just like the shoot bud. Half of its size should be placed into a small pot. Cultivation soil or substrate is recommended. 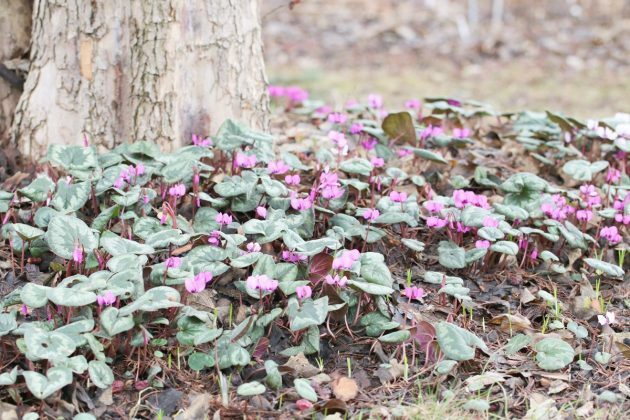 Healthy and strong cyclamen persicums are mostly robust against diseases. Nevertheless, there are pests and diseases, which are usually the result of wrong care or carelessness. 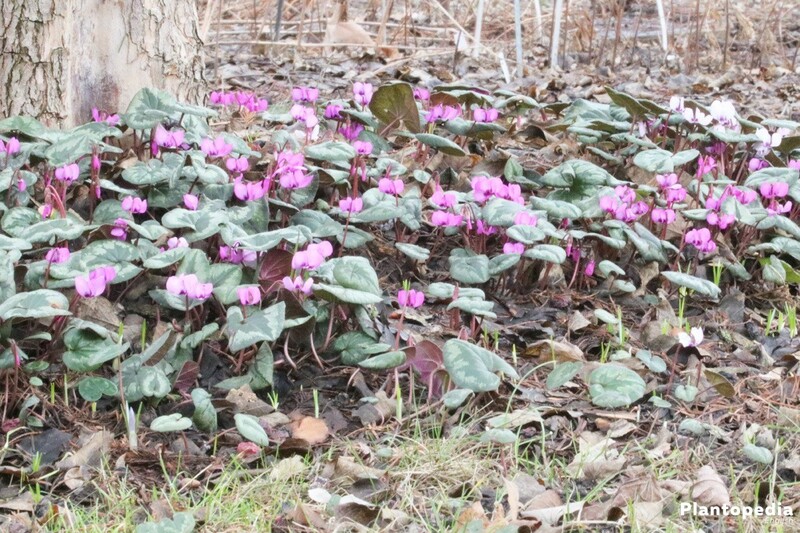 Cyclamen mites are pests which are difficult to recognize at first sight. 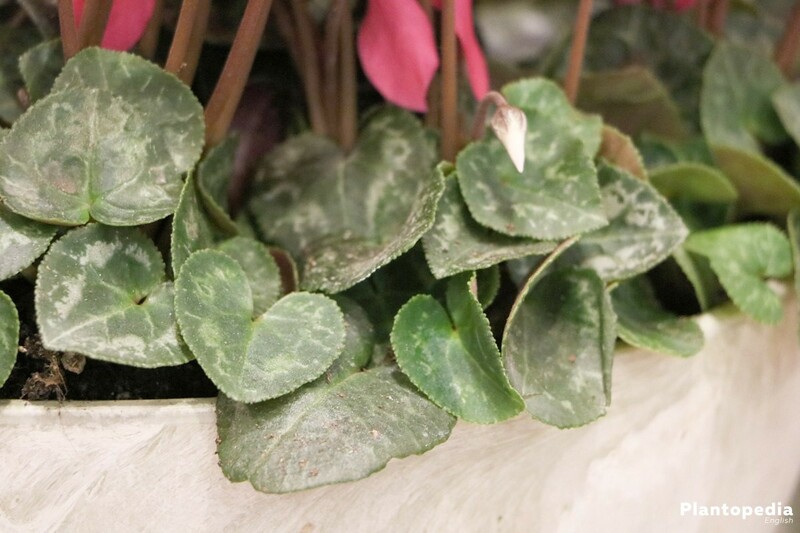 Only when a high attack with numerous egg deposits exists or the cyclamen has untypical forms of leaves and shoot tips, plant enthusiasts are usually becoming aware of them. They multiply at a rapid pace, which is why we should act immediately. Since a high humidity between 60% and 90% favors the living conditions of cyclamen mites, a change to a dryer location is essential. Pouring should be reduced to a necessary minimum. There are plant protection products available in specialized stores, which are partly oily. These may bond the pores and destroy the natural protective coating of the cyclamen. Special pest control sticks, which are put into the soil, will do better. 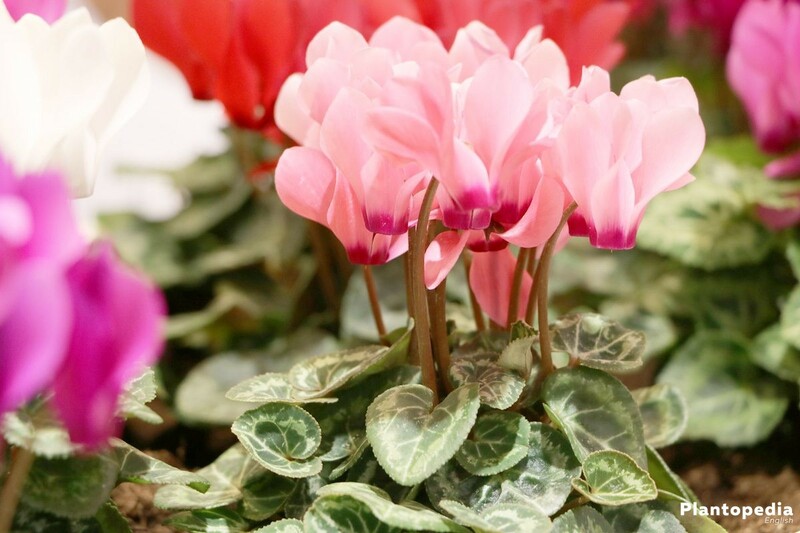 The active ingredients will reach the roots up to the last tip and will reliably cause cyclamen mites to die off. A typical pest of the cyclamen persicum is the otiorhynchus. It is black with dark-brown dot-like spots and has fine, yellowish hairs. It prefers the fleshy leaves of a cyclamen as food and is rarely to be discovered quickly, since it usually only dares to leave it’s hiding place when it is dark outside. 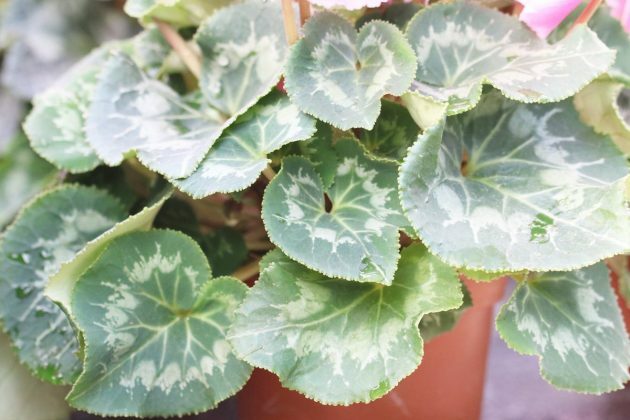 As the otiorhynchus has a long life expectancy of up to 120 days and it also places numerous larvae on the roots, it can severely damage the cyclamen during this time. Worst of all, the plant dies. A very environmentally friendly pest control can be carried out with wood wool. The wood wool should be placed under the pot, as the otiorhynchus considers it the perfect place for a cozy sleep during the day and can thus be easily disposed this way. It is more difficult if larvae are present. You will recognize this at the latest by the ever weaker overall condition of the plant, as the larvae crush the roots and thus the supply of the plant is no longer available. In specialized stores, plant protection products against the larvae are available on biological as well as on chemical basis. 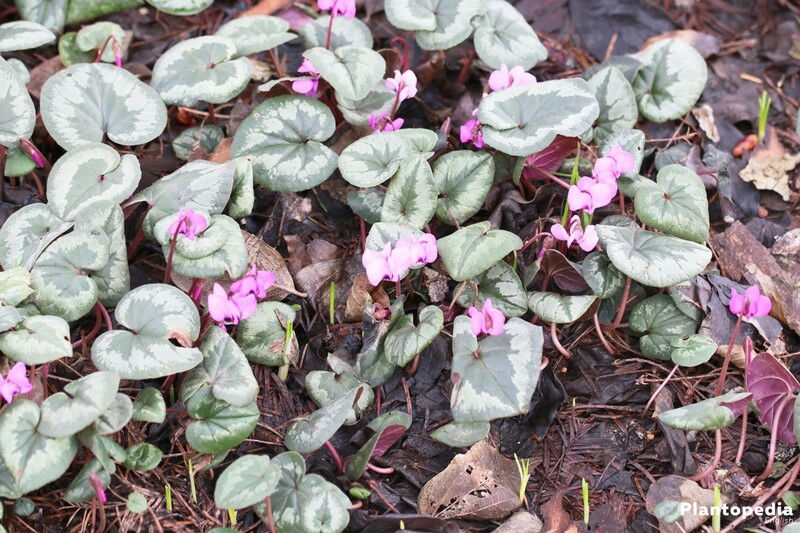 If the cyclamen persicum is exposed to waterlogging or too much moisture, a root rot and subsequent tuber rot may occur. The suspicion may be caused by downward-inclined petioles as well as leaves that are rucked up. To be sure, you can make a thumb test. If the soil can be pressed down more than three centimeters for days, it’s probably a case of waterlogging. 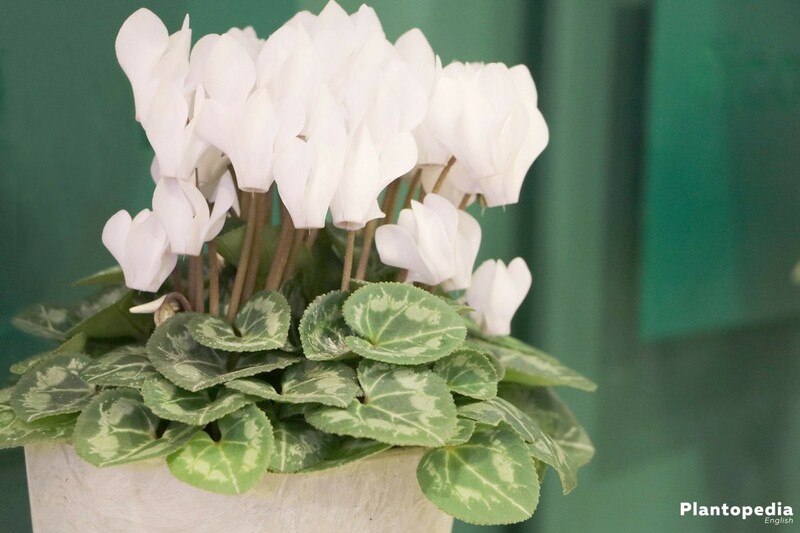 In this case, you should let excess water drip out of the cyclamen persicum or it should even be planted out and dried. Rotten roots must be cut off and, if necessary, the tuber must be reduced in size until it is not contaminated any more. 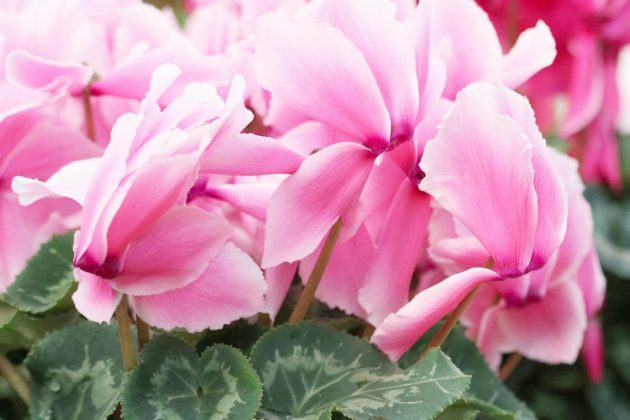 Subsequently, the cyclamen should be planted in new flowering soil and ideally in substrate and it should only be slightly poured. The plant will then usually recover very quickly. The cyclamen persicum is the most famous and the mother of the cyclamens, providing the cultivation basis for numerous other varieties and subgroups. In total, there are 22 different varieties, which are equipped with smooth, frizzy or wavy leaves. The colours of the flowers can turn out unicoloured as well as two-coloured and the flowering season may vary throughout the year. 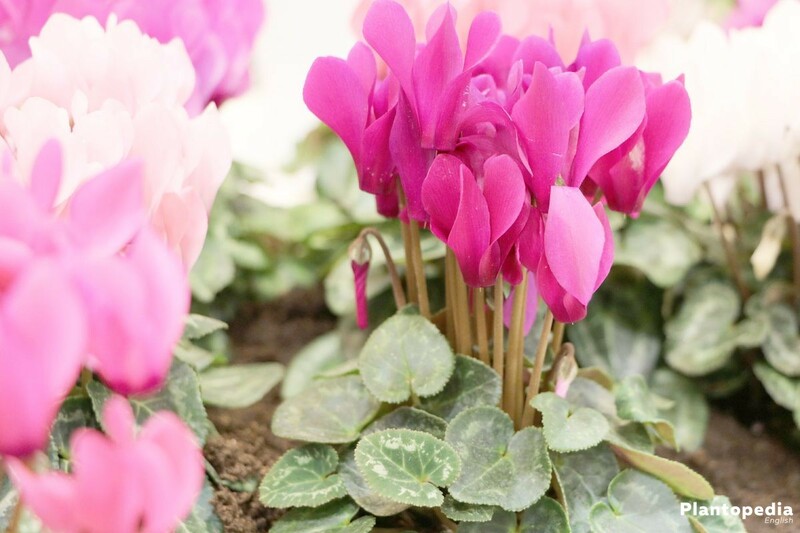 The “aroma cyclamen” and the miniature version, which has been added to the small and large cyclamens, are less well-known. 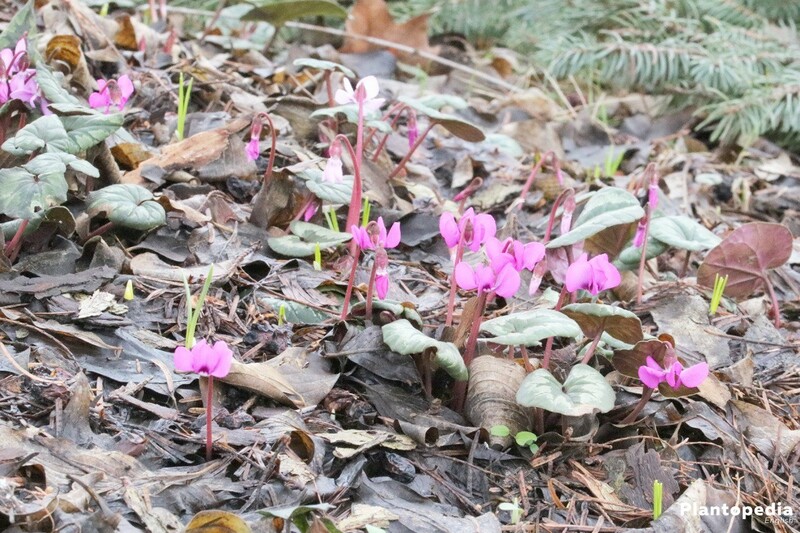 As a rule, winter-hard cyclamen species are garden plants, which is why they are not counted to the indoor species. Nevertheless, they are also kept in rooms all year round.